In Idaho drug overdoses are the third leading cause of accidental deaths, trailing only deaths related to car accidents and falls. Taking a medication in a manner or dose other than prescribed, taking someone else’s prescription, or taking a medication to feel euphoria (to get high) are all examples of prescription drug abuse. Prescription drug abuse is dangerous and illegal. Some people believe that since prescription drugs can be purchased at a pharmacy, that they are a safe way to get high. That is absolutly wrong. Prescription drugs are closely monitored due to the dangerous side effects if misused. Used to treat pain. Often misused to produce euphoria. Prescription opioid medications include hydrocodone (Vicodin), oxycodone (OxyContinand Percocet), morphine, codeine, fentanyl, and others. Side effects can include: dependence, addiction, severe respiratory depression (slowing or stopping of breathing, also called overdose). Withdrawal symptoms: restlessness, muscle and bone pain, insomnia, diarrhea, vomiting, cold flashes with goose bumps, and involuntary leg movements. 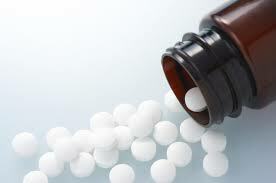 Used to treat anxiety and sleep disorders due to their drowsy or calming effect. 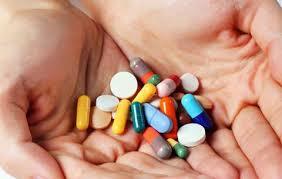 Prescription CNS depressants include tranquilizers, sedatives, and hypnotics. Side effects can include: dependence, sleepiness, lack of coordination, withdrawal, and seizures. Stimulants increase alertness, attention, and energy, and are often used to treat ADHD. Often misused to increase energy and focus. Many teens begin stimulant abuse to pull all nighters to study or party. Prescription stimulants include dextroamphetamine (Dexedrineand Adderall) and methylphenidate (Ritalinand Concerta). Side effects: dependence, addiction, feelings of hostility or paranoia, psychosis, dangerously high body temperature, irregular heartbeat, cardiovascular failure (over dose) and seizures. Withdrawal symptoms: fatigue, depression, and disturbed sleep patterns. Some teens become addicted to prescription drugs when they have been legitimately prescribed by a doctor after and injury or surgery. Some teens become addicted when they experiment with prescription drugs they accessed from a source other than their doctor. Some teens get their prescription drugs from the family medicine cabinet. Pharm parties, or skittle parties, are gatherings where participants bring whatever pills they have available and dump them into a bowl from which everyone takes a small handful of the unknown pills. This is a very dangerous practice as literally anything could be in that handful. Lock up your medications. All medication, prescription and over the counter, should be kept in a locked container. Even if you trust your son or daughter, many people who abuse prescription drugs report that they got the drug from a friend or family member without their permission. Dispose of all unused medication at appropriate drop off locations. Do not flush your medications. To find a drop off site in your area visit http:/odp.idaho.gov/prescription-drug-take-back-program/ and type in your zip code. Ask questions. It is completely appropriate to ask why a medication is being prescribed, what the expected side effects will be, if there are non-narcotic options available, dosage instructions, duration of administration, possible drug interactions, etc. Pharmacists are an excellent resource and usually welcome medication questions. Monitor medication administration. Children and teens should be supervised with all medications, but this is critical for narcotics(opioids). Keep an accurate pill count and make sure you know when medications should be reduced or eliminated. Properly dispose of any remaining medication. Educate yourself. Know the dangers of prescription drug abuse and then share that knowledge with friends and family. Never take a medication that is not prescribed for you. Even if you have taken the same medication before, someone you trust assures you its ok, or you really think you need it. Always get your doctors approval before you take a prescription medication.